Our very own Rhettmatic & the mighty Cypress Hill‘s own Eric Bobo, make up the group, The Cypress Junkies. 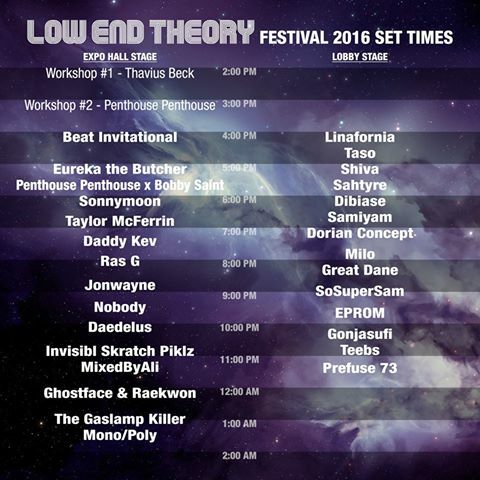 Sometime last year, they were asked to perform a set at the 1st ever Low End Theory Festival at The Echo/Echoplex, along with Invisibl Skratch Piklz, Nosaj Thing, Jon Wayne, Ras G, & many more, along with the LET crew (Daddy Kev, Gaslamp Killer, Nocando, Nobody, & our own D-Styles). The Cypress Junkies just recently released the live audio of their performance set from the Low End Theory Festival for you to listen to. Shoutouts to the whole LET crew…..